The annual frenzy over admissions at elite universities centers on numbers — applications received, students accepted, matriculation rate — but these statistics may not be an accurate measure of a school, especially if you ask the experts at Yale and high schools across the country. Dean of Undergraduate Admissions Jeffrey Brenzel and four college counselors said these statistics are not the most important indicators of whether a school is competitive or popular among those it admits. Many colleges manipulate these numbers, Brenzel said, using strategies like encouraging large numbers of unqualified students to apply in order to raise application counts and lower admissions rates, or refusing admission to students they believe will not matriculate to up their yield. Despite Brenzel’s skepticism of admissions figures, high schoolers interviewed said they use them to gauge schools when applying. Because Yale is already so selective, Brenzel said, the University’s admissions office has not pursued a strategy of soliciting more applications merely to inflate Yale’s statistics. But in the eyes of students, the numbers still matter. Eight out of 10 undergraduates interviewed said they thought admissions statistics like number of applications received, admissions rate and yield reflected the quality of a college, but four college counselors interviewed agreed with Brenzel that this is not necessarily the case. Beth Slattery from the Harvard-Westlake School in North Hollywood, Calif., and Martha Lyman from Deerfield Academy in Deerfield, Mass., said admission metrics are unreliable indicators for a number of other reasons as well. Lyman said a lot of the additional applications to American colleges may be coming in from abroad — driving up application counts, but not necessarily increasing the selectivity of the school for applicants from the United States. If an institution has decided that it is only going to admit 10 percent of foreign students, she said, the increase in applications does not indicate a more difficult admissions process for American applicants. Some experts believe students are simply applying to more schools each year, Slattery said, driving down matriculation rates no matter how competitive the school. Lyman and Slattery both have experience working in college admissions offices — Lyman was a member of the admissions committee at Harvard for 10 years, while Slattery was associate director of admissions at the University of Southern California. Both said colleges and universities across the nation are feeling pressure to raise applicant count and yield. She said she hopes hyper-selective colleges like Yale do not feel the need to increase their application counts, because doing so would only mean turning down more students. Lyman said she thinks even top schools like those in the Ivy League probably feel pressure to raise their application counts to compete with each other. But Brenzel said he has not felt the need to drive Yale’s application numbers up. But high school seniors and Yale undergraduates said admissions numbers are one of the tools available to them for judging Yale and its peers. Senem Çilingiroglu ’13 said Yale needs to keeps its selectivity high to maintain its prestige. Amina Edwards, a senior at the Winsor School in Boston, Mass., who was accepted early to Yale, said Yale’s low admission rate made her nervous about her chances of getting in, but also enhanced her interest in the University. She said Yale’s selectivity confirmed for her that Yale was a school she wanted to attend. Three out of the four college counselors interviewed also said students were more likely to apply to schools with higher application counts, lower admission rates and higher yields. 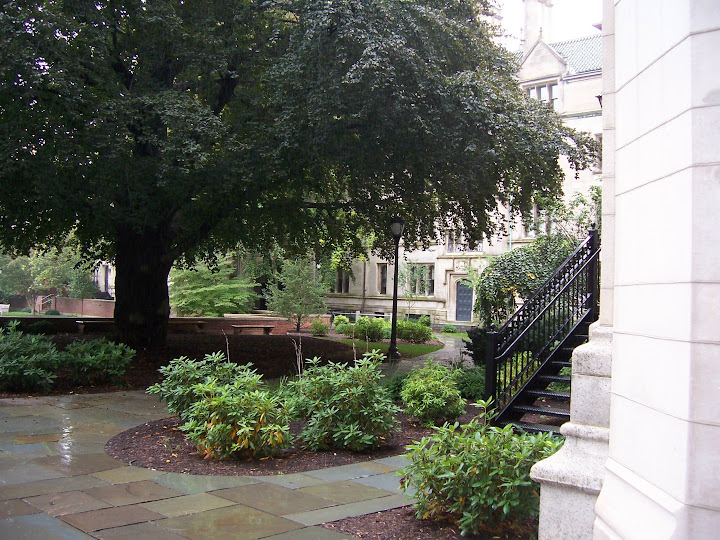 “There is a strange psychology that the harder it is to get into a school, the better it must be,” said Jane Horn, director of college counseling at Kent Denver School in Engelwood, Colo.
King and Sarah Swong, a senior at the Horace Mann School in the Bronx who was accepted early to Yale, said admissions metrics affect public perception of colleges indirectly, because they influence the rankings schools receive in U.S. News and World Report. According to the U.S. News and World Report website, however, “student selectivity” only accounts for 15 percent of their annual rankings, and the acceptance rate (ratio of students admitted to applicants) makes up only 10 percent of the “student selectivity” category.